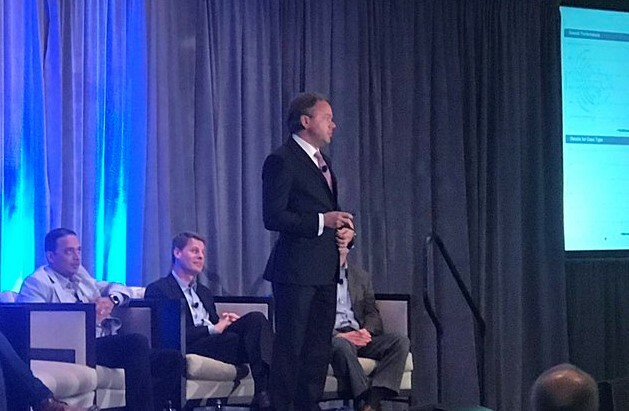 This past week, one of America’s most powerful insurance trade associations, the Property Casualty Insurers Association of America (PCIAA), gathered for its annual Executive Roundtable (ERT) Seminar in Dana Point, California, to explore the latest developments in the industry. 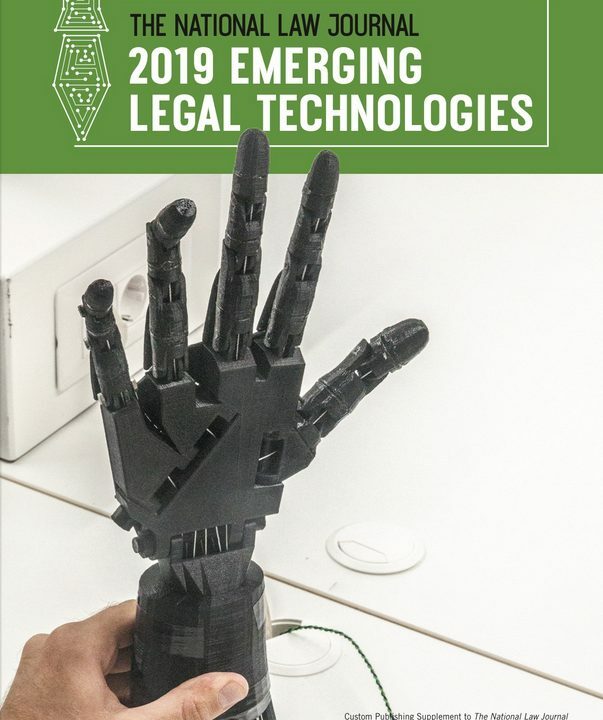 One of the most buzzed-about talks was delivered by Toby Unwin of Miami-based legal analytics firm Premonition, who discussed the powerful impact big data is having on how insurers choose their legal representation. 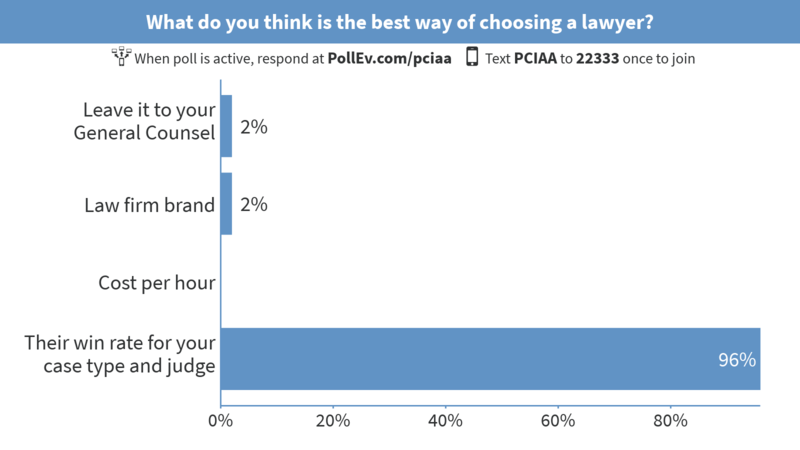 The importance of wins and losses in the courtroom is often soft-pedaled by marketers and attorneys, but for clients with millions on the line, there is strong demand for greater transparency in legal services. “Good lawyers know the law; great lawyers know the judge,” Unwin declared during his presentation, quoting a well-known courthouse saying. 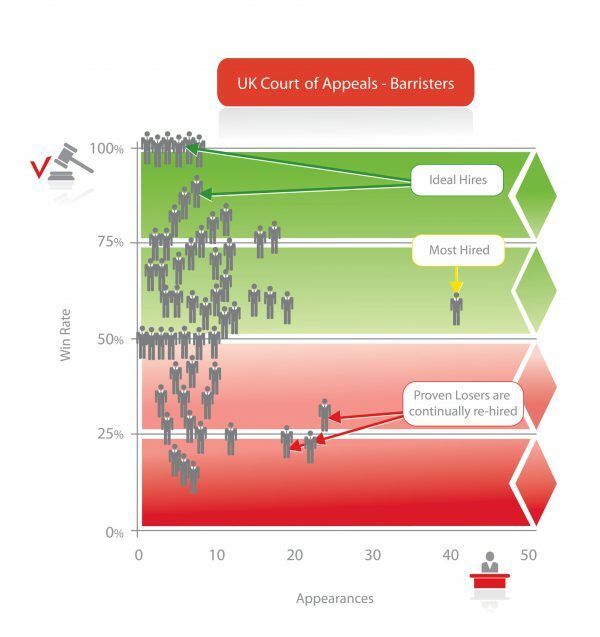 Premonition’s research bears the assertion out, having found that the prior track record of a lawyer before a given judge has a 30.7 percent impact on the results of future cases with the same pairing. Therefore, knowing which lawyers have excellent relationships with the judges that will be deciding their case can skew an insurer’s odds of a favorable outcome from a 50/50 coin flip to a secure 80/20 advantage. 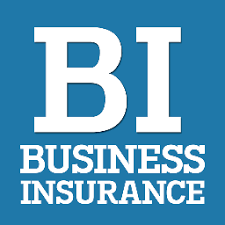 By comparison, studies have shown that insurance company general counsels tend to choose lawyers based on reputation, awareness of a firm’s brand and hourly billing rates. Unfortunately, in terms of raw wins and losses, this produces results 18 percent worse than a purely random selection. Many among the audience of over 80 CEOs from some of the country’s biggest insurance firms seemed shocked by the ramifications of Premonition’s research, which both confirms the perception that the law is an “insider’s game” and gestures towards a means of dismantling the game itself. 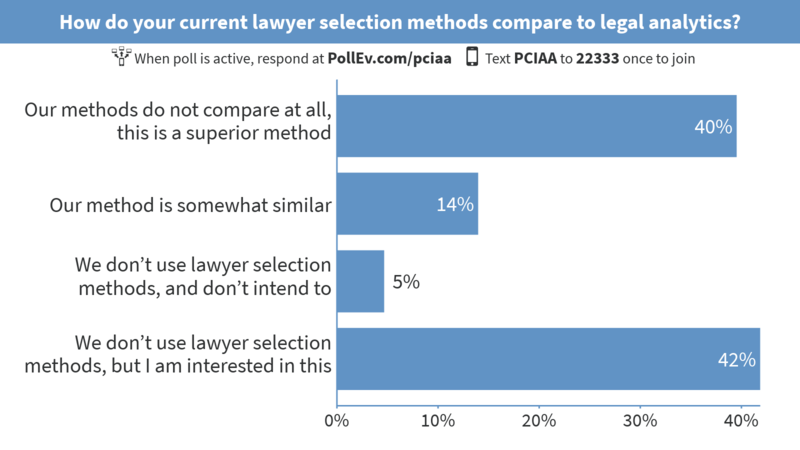 A post-seminar poll found that just two percent of those surveyed still felt comfortable leaving attorney selection to their general counsel after learning about analytics, and only five percent claimed that they neither used nor intended to use an empirical selection method in the future. 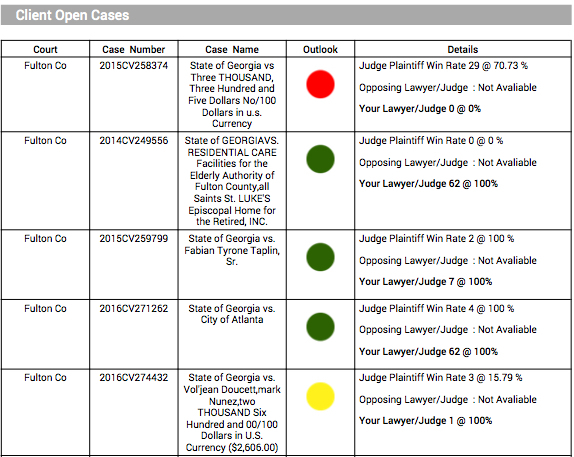 Premonition is one of a number of firms exploring how applying predictive analytics to litigation data can improve the way clients choose representation, though it is among the few with a specific focus on the insurance industry and how better litigation can improve risk modeling. 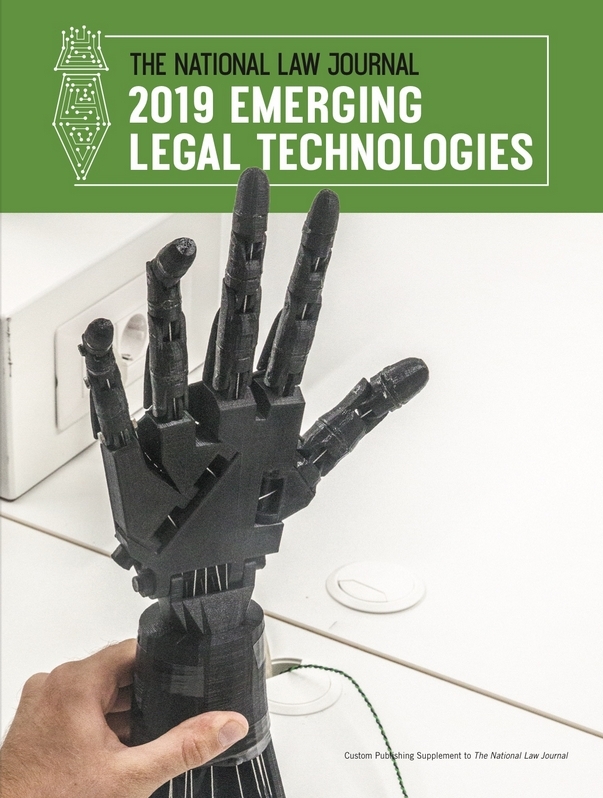 The company’s database of court records has been recognized as the world’s largest, and the results of its studies have been employed by law firms, universities and NGOs around the globe. The Property Casualty Insurers Association of America represents nearly 1,000 member companies across the country, exerting a powerful influence over legislators thanks to retained lobbyists in all 50 states. PCIAA’s members write $220 billion in annual premiums and represent the lion’s share of auto, workers’ comp, homeowners’ and commercial liability insurance in the U.S.